Josh Boone’s New Mutants looks set to give Fox’s X-Men franchise a breath of fresh air. Described as “Stephen King meets John Hughes,” it’s purported to be almost a horror film that focuses on the twisted and unusual possibilities that come with mutant powers. Earlier today, Rosario Dawson was reported to be joining the production, setting off a storm of speculation as fans wondered what role she’d be playing. Well, now we know. 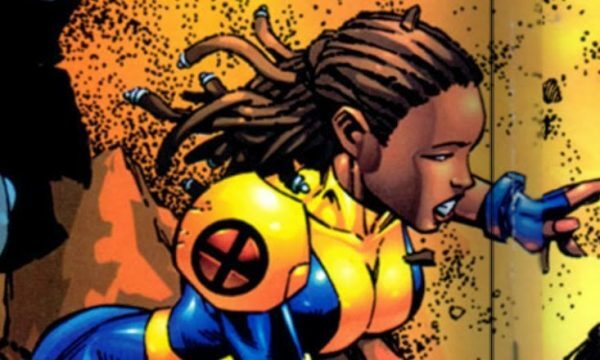 She’s set to show up Dr. Cecilia Reyes, a doctor and former member of the X-Men. The character manages the impressive feat of being simultaneously a mutant and a trauma surgeon in the Bronx, and is prized for her medical knowledge as much as her mutation. Her power is described as a “psioplasmic bio-field” which surrounds her body at all times and protects her from harm. In the comics, Reyes eventually learned how to use this force field as a weapon, able to form spikes and hammers with it in order to attack her foes. New Mutants is purportedly about a group of young mutants (two of which are played by Maisie Williams and Anya Taylor-Joy) being held prisoner in a secret facility, each of them battling the dangers of their own powers. The tagline apparently goes: “they aren’t out to save the world – they’re just trying to save themselves.” Perhaps Dawson’s character will be working in the facility doing her best to treat the young mutants, then? Or maybe assisting them once they break free of their captives? We’ll have to wait and see. New Mutants is currently slated for an April 13th, 2018 release. With a lot of the roles now starting to be filled, expect to hear more casting news shortly.